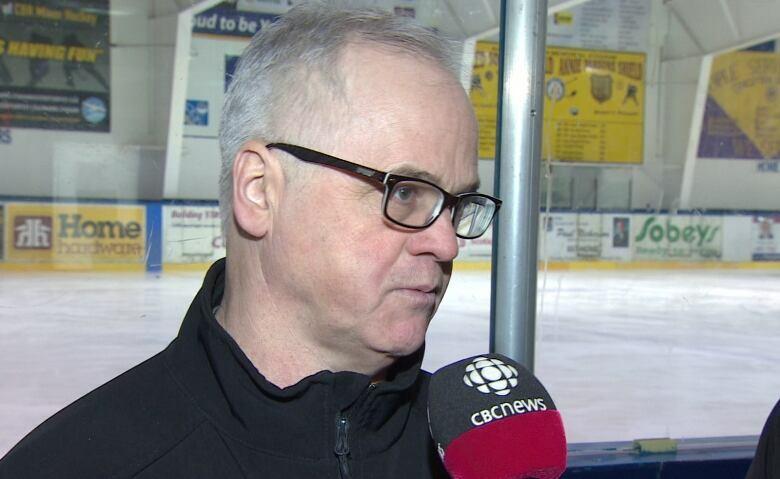 One team in the St. John's Junior Hockey League is looking for answers about who's responsible when fans are behaving poorly in the stands, after the forfeit of a crucial playoff game. The executive of the Conception Bay Junior Renegades forfeited a key game on March 14 because of an abusive fan. "You're expecting an adult to act like an adult," said Kevin Tobin, on the Renegade's executive. Corey Simms, a fan of the St. John's Junior Caps, says he likes to get loud and heckle other teams. (Submitted)"Watch the game, be respectful, don't be so ignorant and just let the boys play hockey." The team was supposed to play the St. John's Junior Caps at Twin Rinks that weekend, but the executive cancelled the match because a notoriously heated Caps fan was planning to be in the stands. "We have concerns about safety for our players and our fans going to that rink," says Roger Powell, president of the hockey club. "And it seems like nobody will respond and give us an answer at this point on that issue." That fan is Corey Simms, who admits that he's loud and likes to taunt opposing teams. However, the Renegades say Simms takes it too far and it's because of him they had to forfeit. "We're disappointed, we know our team is certainly disappointed because this was something the executive decided was very important," said Tobin. "We drew the line in the sand. It was something that we had to do, and we feel we still have to do." Tobin said it got to the point where the executive was worried upset parents were going to take things into their own hands, turning what was meant to be a match on the ice to a match in the stands. 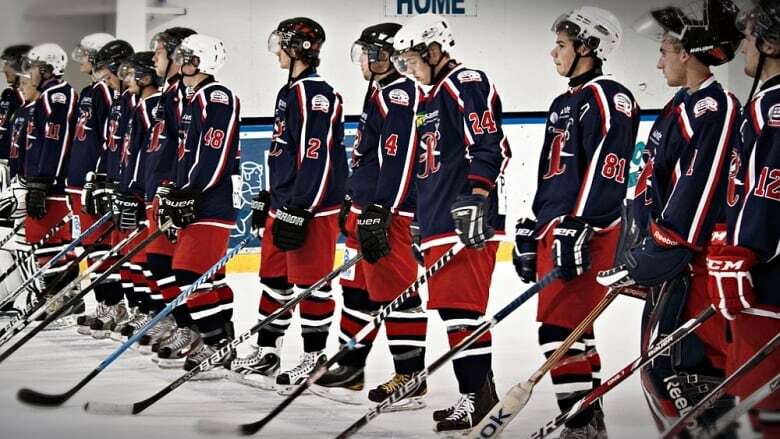 The St. John's Junior Hockey League has been receiving complaints about Simms for years. On March 11, the league sent him a letter saying his behaviour left them "with no recourse but to ask you to refrain from attending any further games," adding that "arenas and teams have been advised that you are not permitted" at games or practices. 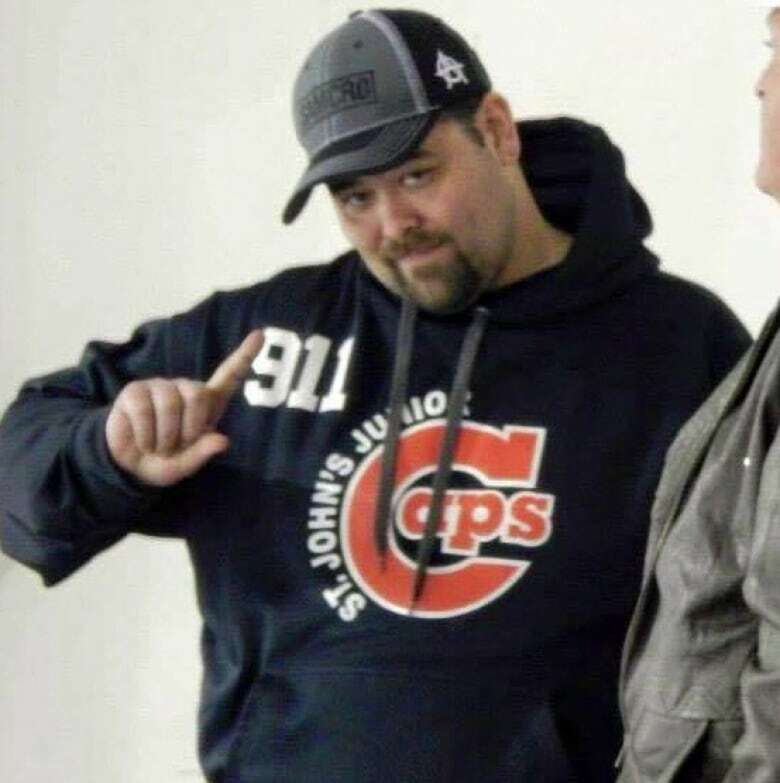 Kevin Tobin, on the executive of the Conception Bay Renegades, says adult fans need to act like adults and let hockey teams play, rather than be abusive and heckle from the stands. (CBC)A few days after that letter was sent, the Renegades got word that Simms would be attending a playoff game at the Twin Rinks Arena and decided to forfeit. In a statement, the hockey league said the letter to Simms was a request only and fan behaviour is the responsibility of the individual rink, not the league or its teams. However, the manager at Twin Rinks told CBC News it is the league's responsibility to enforce its own bans, league personnel who are responsible for watching the door during games, and who take money and admit the fans. The manager said Simms is a heckler, but once he's permitted entry to the rink he would need to break the rules before the rink would kick him out. The Renegades wanted to reschedule the forfeited game, but the hockey league turned them down, as did Hockey NL, hockey's governing body in Newfoundland and Labrador. Now, the team wants to know who abusive fans have to answer to.